Bolivia’s government has declared a national emergency because of a water shortage as it suffers the worst drought in 25 years. We need water, and that's the reason for this blockade. The country’s capital city gets water for just three hours a day, as reservoirs run dry. 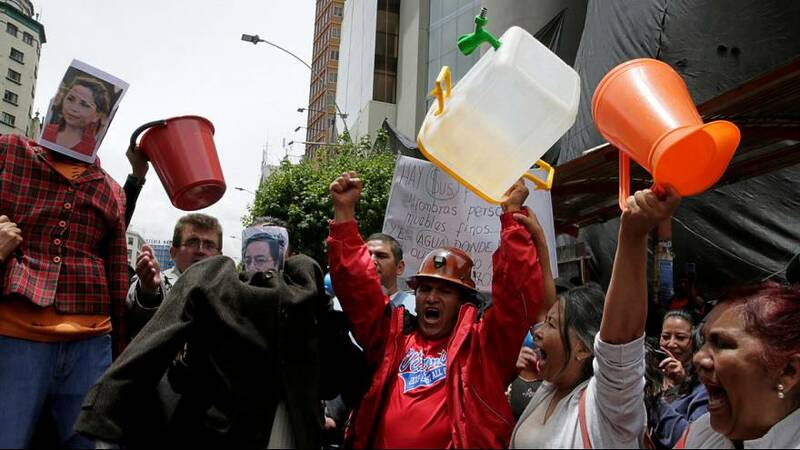 Last week, residents in Bolivia’s second largest city El Alto briefly held hostage authorities from a local water company to demand an explanation for the shortage. Two of the main three dam reservoirs feeding the city of La Paz are at eight percent capacity, while the third is in the danger zone with just one percent. The drought affects 125,000families. Authorities have rationed the water supply. Schools will close two weeks earlier this year to prevent the spread of disease. One third of people living in La Paz have had two weeks of water restrictions. The severe drought has prompted protests in major cities. People accuse the water company of corruption, and the government of lack of foresight. Feeling the pressure, President Evo Morales pointed the finger of blame at the water management companies. “Unfortunately, we were never warned, never alerted, by the water control authority and the EPSAS [Public Social Company of Water and Health],” said Morales. Two of the glaciers that supply water to the capital are expected to have completely disappeared by 2030.